2.What is a firewall in computer network? 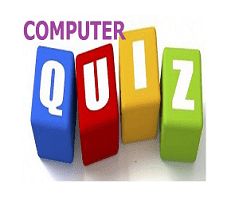 3.Which of the following is not an input device? 4.Which operation you will perform if you need to move a block of text? 6.The main component of a typical desktop computer is the………., which houses the processor, memory, some storage devices, and display and sound circuitry. 8.Which one of the following would not be considered as a form of secondary storage? 10.The operating system is the most common type………. of software. 13. Which output device is used for translating information from a computer into pictorial form on paper? 14. To make number pad on the computer keyboard act as directional arrows you press the………. key"
15. Which one of the following is OS software?